The Research Center for Development of Far-Infrared Region in University of Fukui calls for application of Joint Usage / Collaborative Research using Gyrotron or other millimeter wave application. If you are interested in it, please feel free to contact me. My contact information is below. 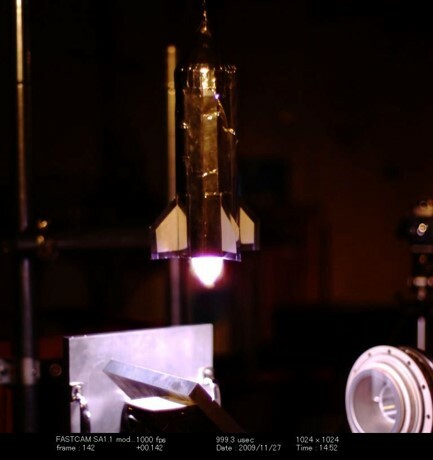 2nd Place Poster Award（Coauthor）:” One-Dimensional Control Volume Analysis and Limit of Laser-Supported Detonation for High Propulsive Efficiency,” International High Power Laser Ablation and Beamed Energy Propulsion, 2014. 嶋 村 耕 平、福 成 雅 史、”ミリ波ビームの空間伝送技術と無線電力伝送への応用," プラズマ・核融合学会誌, Vol.93, No.10, pp.467-472, 2017 (小特集 ミリ波ビームが飛ばす“マイクロ波ロケット” 第2章). Masafumi Fukunari, Tetsuo Yokoyama, Shunsuke Tanaka, Ryuji Shinbayashi, Yuusuke Yamaguchi, Yoshinori Tatematsu, Teruo Saito, Kimiya Komurasaki, "Experimental investigation on millimeter-wave discharge induced in gas,"2nd Asia-Pacific Conference on Plasma Physics, Nov.11-17, The Kanazawa Chamber of Commerce and Industry & Ishikawa Prefectural Bunkyo Hall (invited). Masafumi Fukunari, Tetsuo Yokoyama, Shunsuke Tanaka, Ryuji Shinbayashi, Takumi Hirobe, Yuusuke Yamaguchi, Yoshinori Tatematsu, Teruo Saito,"Observation of the Discharge Structure in 303 GHz Millimeter-Wave Air Breakdown,"IRMMW-THz 2018 Sept.9-14, Nagoya Congress Center, Nagoya. 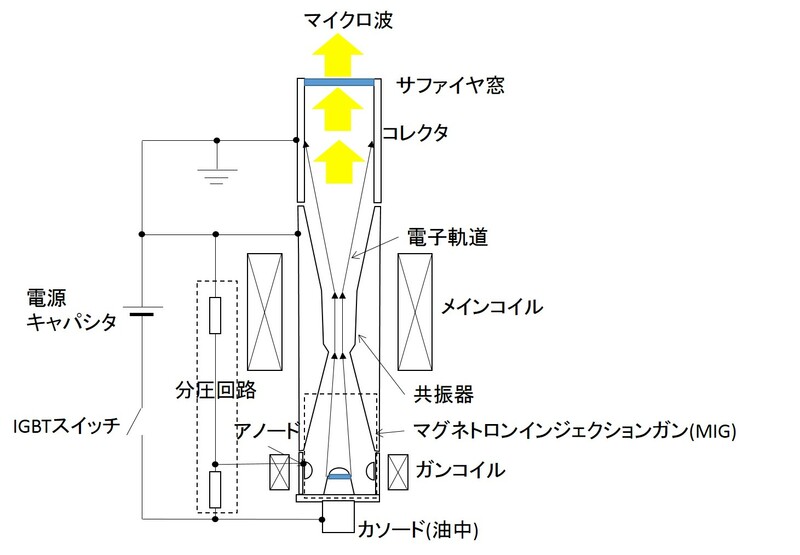 Masafumi Fukunari, Yasuhisa Oda, Tsuyoshi Kariya, Ryutaro Minami, Yuusuke Yamaguchi,Yoshinori Tatematsu, Teruo Saito, Keishi Sakamoto, Tsuyoshi Imai, Kimiya Komurasaki,"Development of a High-Power Gyrotron for Beamed Energy Propulsion Applications,"IRMMW-THz 2018 Sept.9-14, Nagoya Congress Center, Nagoya. Yukihisa Suzuki, Masami Kojima, Takafumi Tasaki, Yoshinori Tatematsu, Masafumi Fukunari,Maya Mizuno, Kensuke Sasaki, Soichi Watanabe, Masao Taki, Masahiko Tani, Hiroshi Sasaki, "Development of the 0.16THz in vivo exposure system for evaluating acute ocular damages with the high power gyrotron electromagnetic wave source," BioEM2018 June 24-29 2018 Piran Slovenia.